Rylan Bergersen–a Boise native that is finishing out his prep career at Link Year Prep in Missouri—committed yesterday to suit up for the Cougars in 2017. Bergersen started his prep career at Borah High School in Boise where he graduated in 2016 before transferring to Link Year Prep in Missouri. At Link Year he averaged 18 points, 5 rebounds, and three assists per game while averaging 42 percent from three point land. 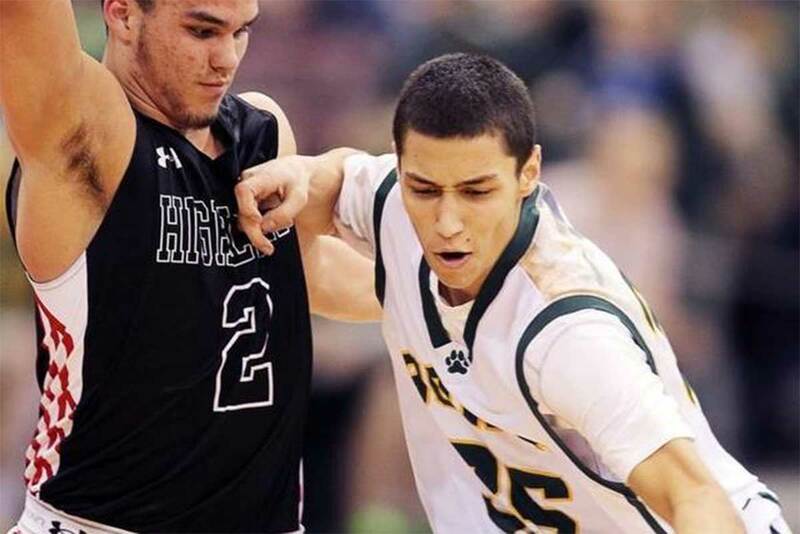 As a senior at Borah he averaged 15.5 points, 5.7 rebounds, 3 assists, and 1.4 blocks per game and was named the Southern Idaho Conference Player of the Year. Following his junior season he was named to the 2014-15 All-USA Idaho basketball second team, the 5A All-State first team, and was invited to the prestigious Pangos All-American basketball camp. Bergersen has not been rated by Scout, Rivals, or ESPN, but holds scholarship offers from BYU, Colgate, DePaul, and Hawaii. He has also seen recruiting interest from Boise State, Butler, Davidson, Denver, Indiana, UC-Irvine, Montana, Northern Iowa, LSU, Oregon State, Pepperdine, Portland, Robert Morris, Saint Mary’s, San Francisco, Santa Clara, UC-Riverside, Utah Valley, and Washington State. Bergersen is not LDS so he could potentially play four years straight in Provo. His father, Roberto, played at Boise State and was drafted by the Atlanta Hawks in the 1999 NBA draft. Class: 2017 HT/WT: 6’6”, 200 lbs.